A very nice view of these lovely whistlers, Jake! Jake, Well Done. All with good eye contact and in focus. 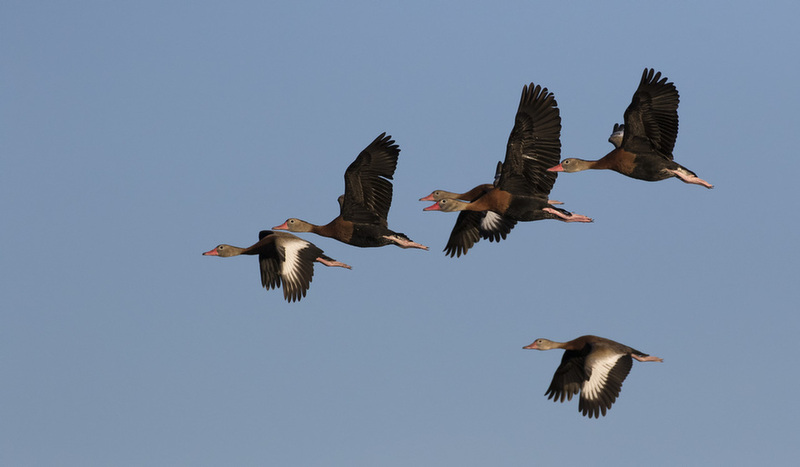 I love flocks-in-flight shots. They are not easy, and this a good one. Exposure, focus, and sharpness all look good. I like it as presented, but if you want to take it up a level next time try avoiding mergers within the flock. Beautiful shot, Jake!